Every Spider-Man fan must have thought the same thing when SPIDER-MAN: HOMECOMING was announced. Oh, not again. But if you have to please do it right. Mission accomplished. Here’s what people are tired of seeing when a superhero story is rebooted. They don’t want to see the origin story again. I swear if I have to watch Bruce Wayne’s mom’s pearls bounce on the ground in slo-mo one more time…well, you wouldn’t like me when I’m upset. Similar argument from fans of Spider-Man. We’ve seen Uncle Bens Cliff Robertson and Martin Sheen murdered. We’ve seen Peter Parker bitten by the spider. We all know the origin story. There is nothing any filmmaker can bring to that part of the story that we haven’t already seen. So why waste time on it? The answer is we shouldn’t. And full credit to director Jon Watts and the dozen people who got some kind of screenwriting credit. They avoided the cliches and it was perfect. The other smart move was having Marvel Studios more involved. That made it a part of The Avengers and the Marvel Cinematic Universe. So we pick up the film after CAPTAIN AMERICA: CIVIL WAR. A few flashbacks to help illustrate Peter’s journey to that story and we’re good. The filmmakers also let Peter be a high school student. So he’s awkward and insecure and nerdy. That means when he’s out being Spider-Man he is living a fantasy life that most teenagers would experience through video games. I mean Peter and his best friend Ned make a LEGO version of the Star Wars Death Star. Can get much more nerd-cred than that. The origin story of Vulture (Michael Keaton) is also told quickly and perfectly. Keaton is a great villain. He’s just menacing enough without being too cartoony (yeah, odd for a movie based on a comic). And when the twist occurs that puts Peter at odds with Vulture before their final battle it elevates the normal teenage boy versus girlfriend’s dad dynamic (oops, did I spoil something?). Quick plot summary: Keaton is stealing alien tech left over after The Battle of New York and repurposing it, selling it to criminals. Spider-Man figures out what’s going on and tries to stop him. But is thwarted by his own inexperience and Tony Stark’s (yup, Robert Downey, Jr. is back) unwillingness to trust him. Tom Holland is a great choice for Spidey. He looks like a kid. He’s likable, but slightly annoying. You know, a teenager. I like him better than Tobey Maguire and Andrew Garfield. He seems to fit as both Peter and Spider-Man. That casting and the overall stakes of the movie make this work than any of the other 5 movies. Let’s face it. No one was clamoring for “The Amazing Spider-Man”. It was a cash grab and and ill-fated one. Two terrible movies. The first trilogy helmed by Sam Raimy went from good, to very good to bloated and out of control. This feels like an authentic journey. A kid growing up and maturing, with the added complication of having superpowers. 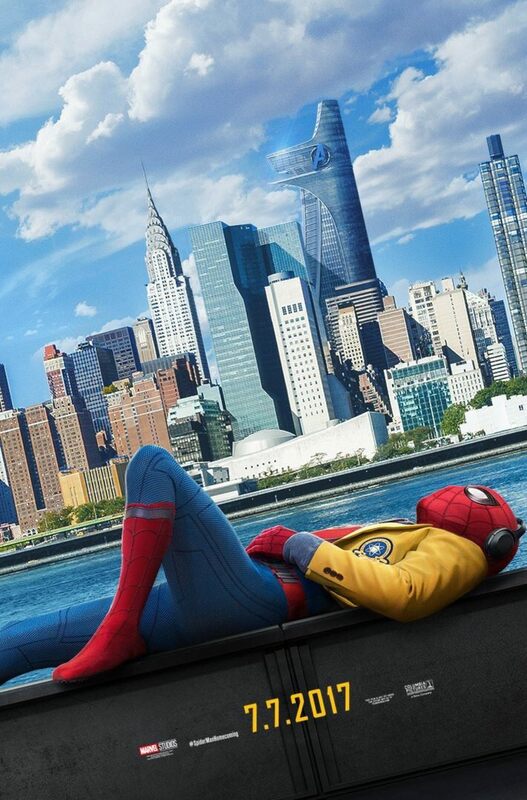 SPIDER-MAN: HOMECOMING is a perfect way to restart the franchise.